Temperance is defined as moderation in or abstinence from the use of alcoholic beverages. Temptation is defined as the wish to do or have something that you know you should not do or have. 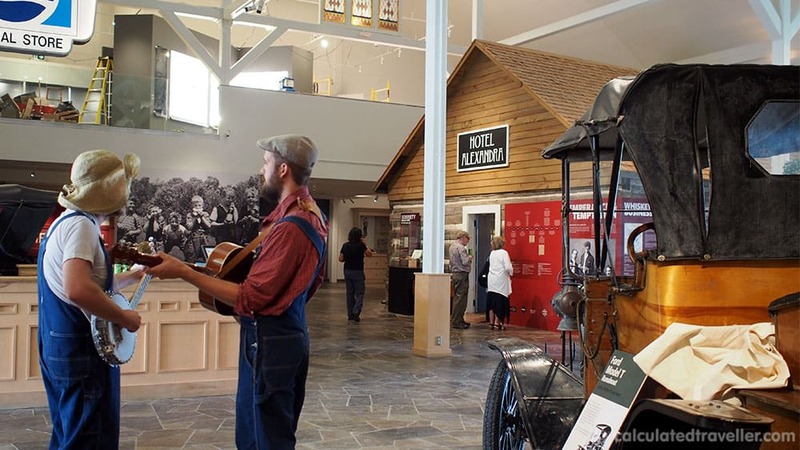 Through interactive play, we re-live the history courtesy of the acting skills of a troupe of unique characters as our tour guides, as we go looking for bootleggers and belly laughs. At each stop on our Temperance and Temptation Tour throughout the Headwaters of Ontario; we drink, we eat, and we learn along the way. Add to that a bit of salvation for good measure courtesy of a “Temperance Hall Meeting” and a whole lot of laughter we round out our day with musical interludes courtesy of the Tipsy Temperance Trio band. TIP: Pace yourself, there is a lot of alcohol served on this tour. The world of “bootlegging” is all about hidden stills, sneaking along back roads and waterways, barrel deliveries in the cover of night, secret stashes and under the table transactions. So, it’s no surprise that “secrets” are a part of this tour too! 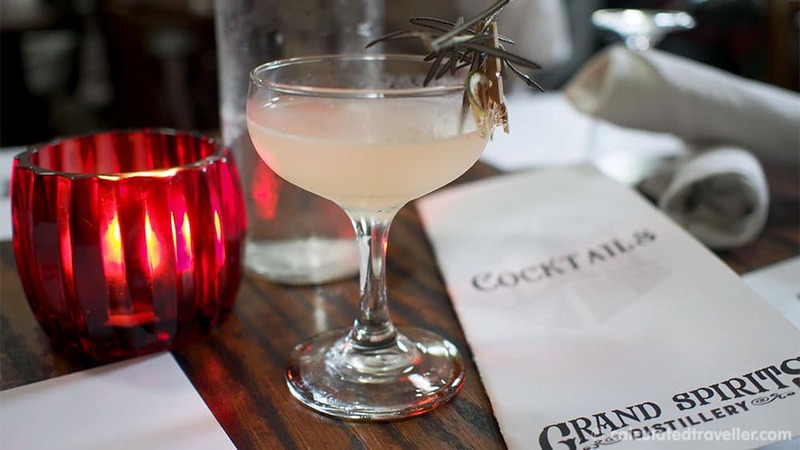 Say the secret word or phrase (as listed on the tour website) at one of the designated stops and you’ll receive a secret offering of a speciality cocktail explicitly designed for the tour at a special discounted price. 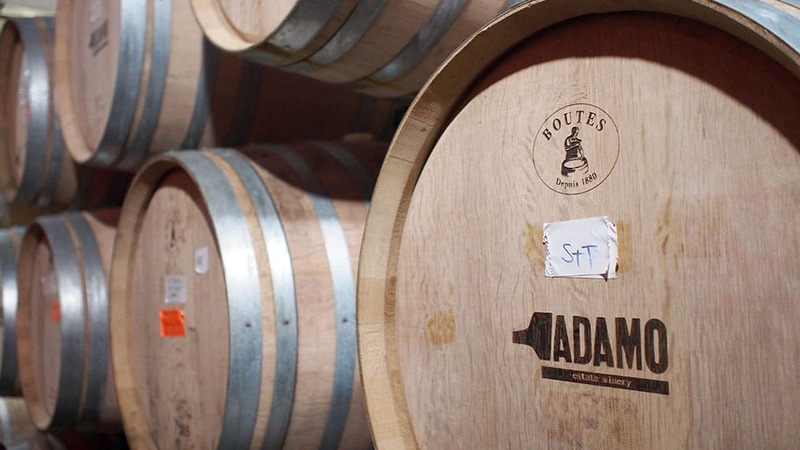 Adamo Estate Winery is located just down the street from Hockley Valley Resort and Spa and shares the same owners — Nancy and Mario Adamo. The interior is expansive with high ceilings, artwork, and glass and contrasts the stone exterior. It makes quite the stunning first impression and starts the anticipation for the wine tasting to come. After a short tour of the vineyard (there are 25 acres), an explanation of the winemaking process, and a visit to the barrel room we enter the tasting room for the main event. 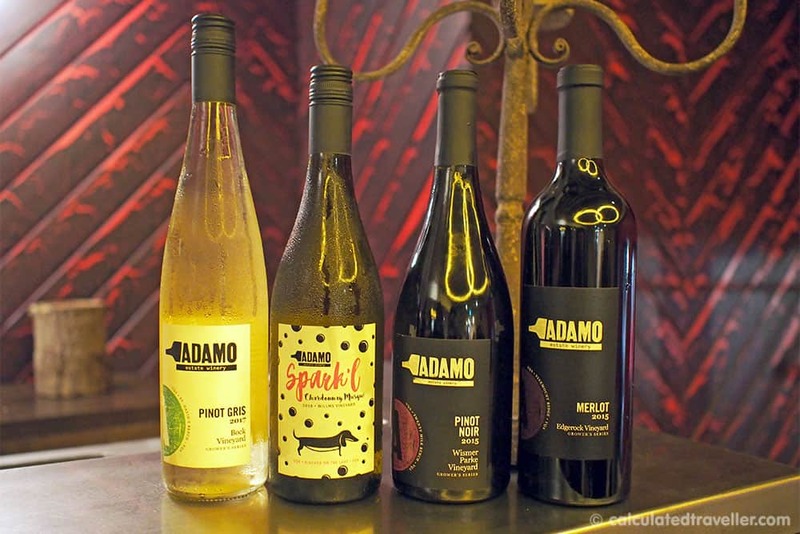 Tastings of 4 of Adamo Estates Winery’s vintages – a 2017 Bock Pinot Gris, a 2016 Spark’l Chardonnay Musqué, a 2015 Parke Pinot Noir, and a 2015 Edgerock Merlot – and a tasty selection of charcuterie – delicious. 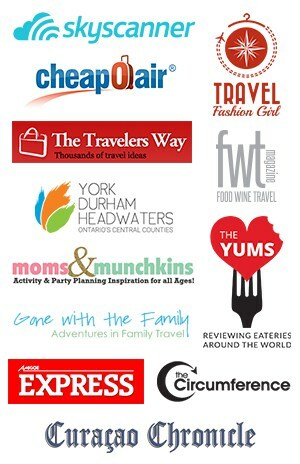 TIP: if you like any of the wines, ciders or spirits served during the tour ensure that you purchase them on the spot. Many of these products aren’t available for purchase anywhere else in Ontario (yet). 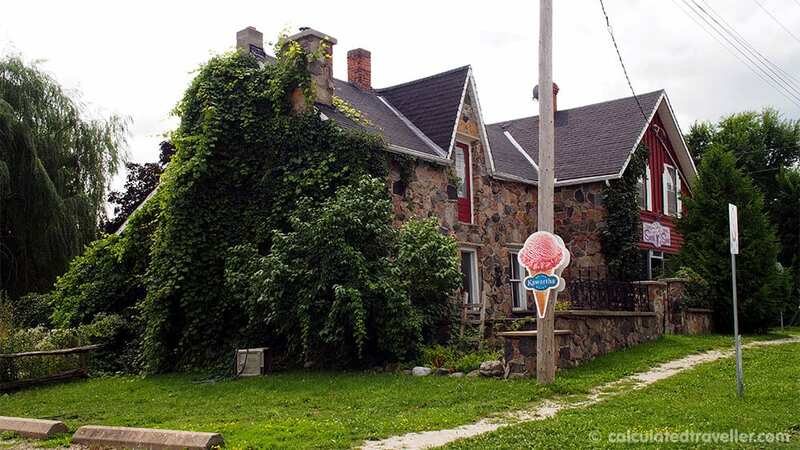 The Dufferin County Museum is small in size when compared to the museums of Toronto but significant when you consider the exhibits and stories it shares. 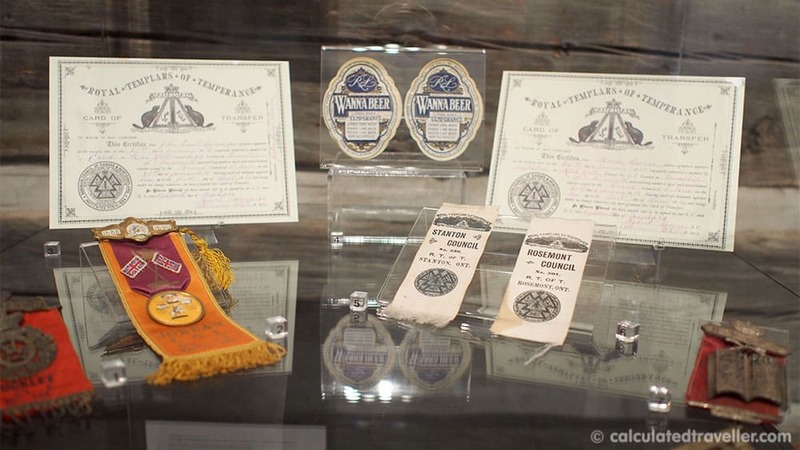 Exhibits on display are a primer for the day as they detail the history of prohibition within the region through artefacts, displays and re-creations. 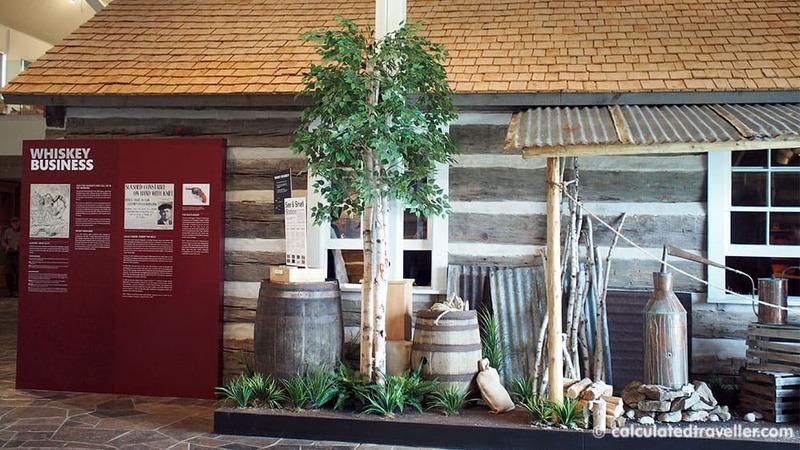 The museum is where we first meet the full cast of characters and where our bootlegging adventure truly starts. It also helps that as we explore the museum to the music of the band in the background we have a can of Spirit Tree Cider in hand. 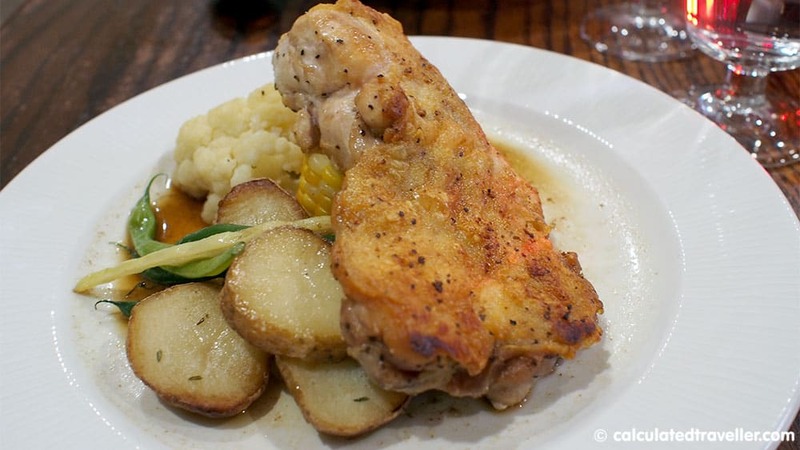 At the Terra Nova Public House, we stop for lunch. The building is a prime example of what an 1800’s resthouse/watering hole would have resembled back in the time of bootlegging. 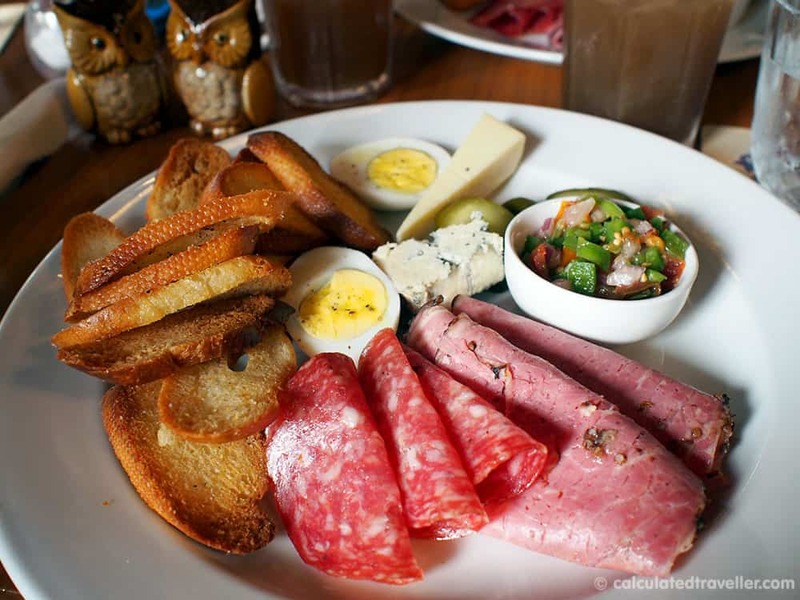 Here we are treated to a lovely Ploughman’s lunch of assorted cheese, paté, eggs, pickles and toast — it’s a perfect well-timed mid-day break. Say the secret code phrase “We’re Lookin’ for Ginger” with a wink of an eye, and you’ll be offered a special cocktail menu with an option to imbibe in a “Nice Ginger” or a “Naughty Ginger”. 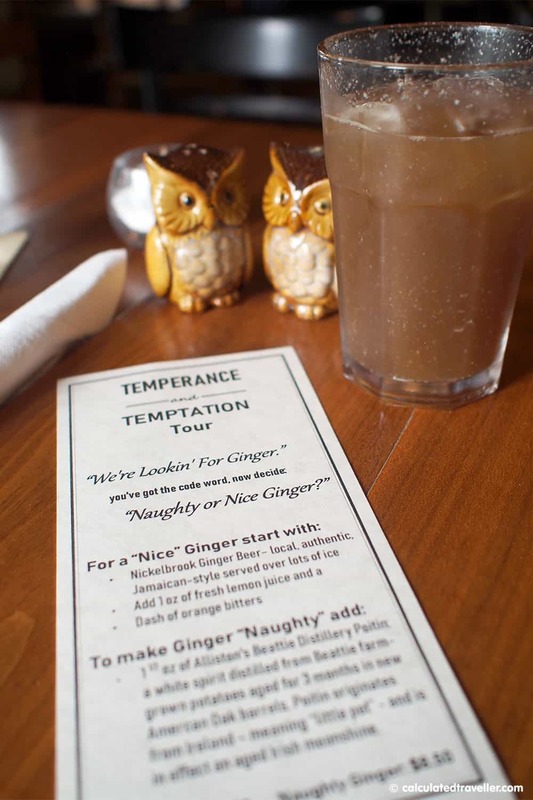 The “Nice Ginger” is a cocktail of Nickelbrook Ginger Beer – a local authentic Jamaican style beer served over ice, with a dash of orange bitters and lemon juice. 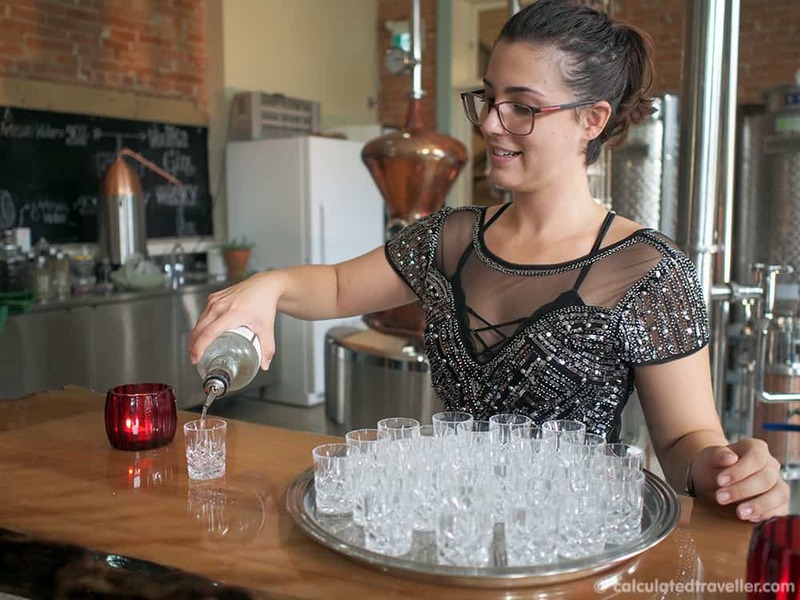 Whereas a “Naughty Ginger” contains the addition of 1.5 oz of Beattie Distillery Poitin from Alliston, Ontario – an aged Irish moonshine made from a white spirit distilled from Beattie farm-grown potatoes age for three months in new American Oak barrels. Don’t forget to stop by the Terra Nova Candy Shop next door for some ice cream or old fashion candies for dessert! 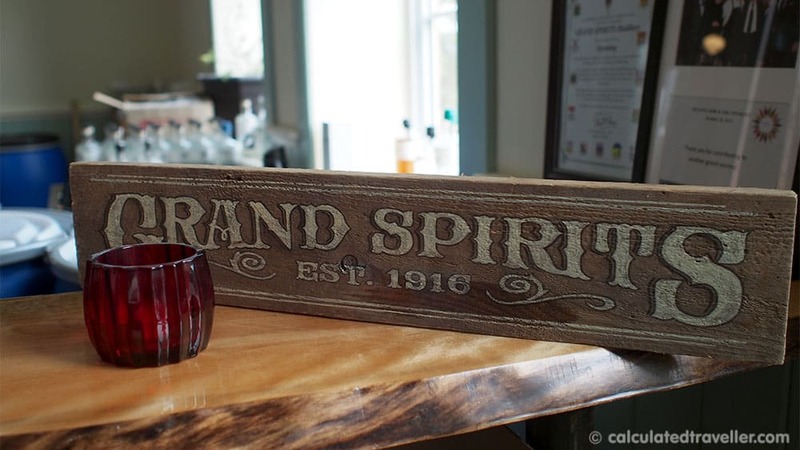 Grand Spirits Distillery is located in an Old School House, built in 1892, in the city of Grand Valley. A fabulous looking building complete with high ceilings covered in tin, original chalkboard walls, and aged wooden floors. We’ve arrived for dinner, but first, we are greeted with a tasting of Grand Spirits Whisky and Grand Spirits Gin brewed in a custom-made (and gorgeous looking) copper still that sits grandly in the middle of the Tasting Room. 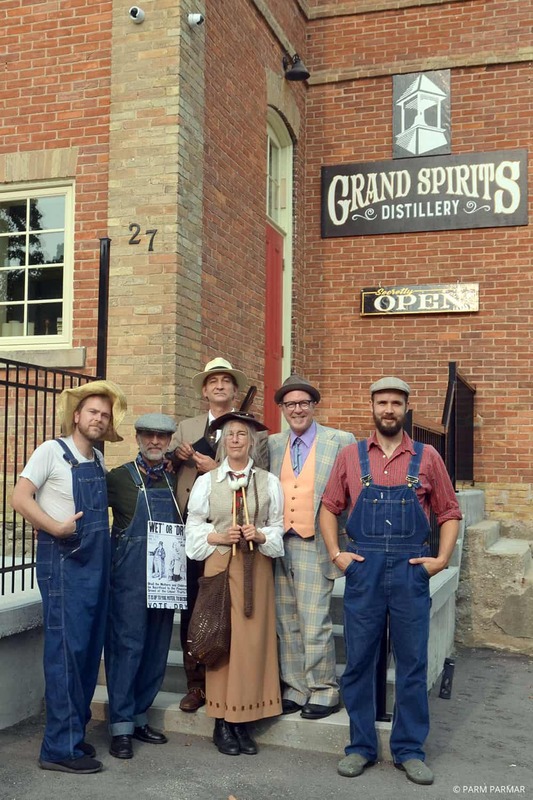 Grand Spirits Distillery is Ontario’s first “Tied House” or “public house” making this craft distillery, speakeasy and dining room the perfect setting for the final act of the story. 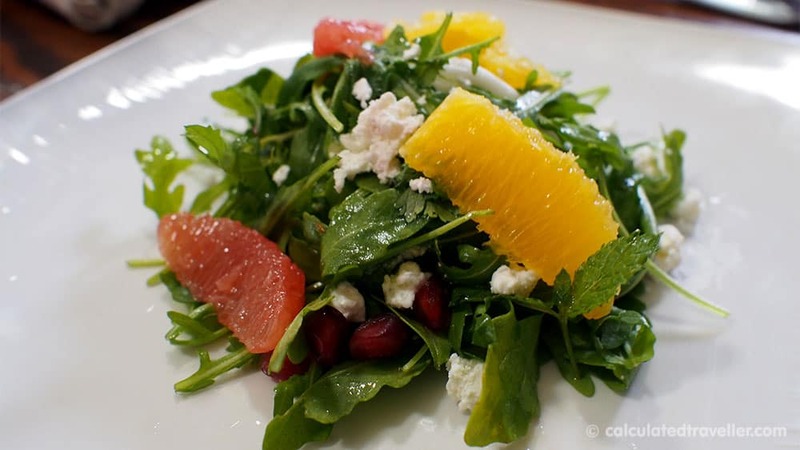 We enjoyed a tasty meal of truffle arugula salad with pomegranate, pan seared chicken breast with herb roasted potatoes and seasonal vegetables, and a selection of desserts. We closed out our evening with music, singing, more laughter and of course a “secret” Bee Knees Cocktail of Gin, lemon, lavender, honey and bitters. 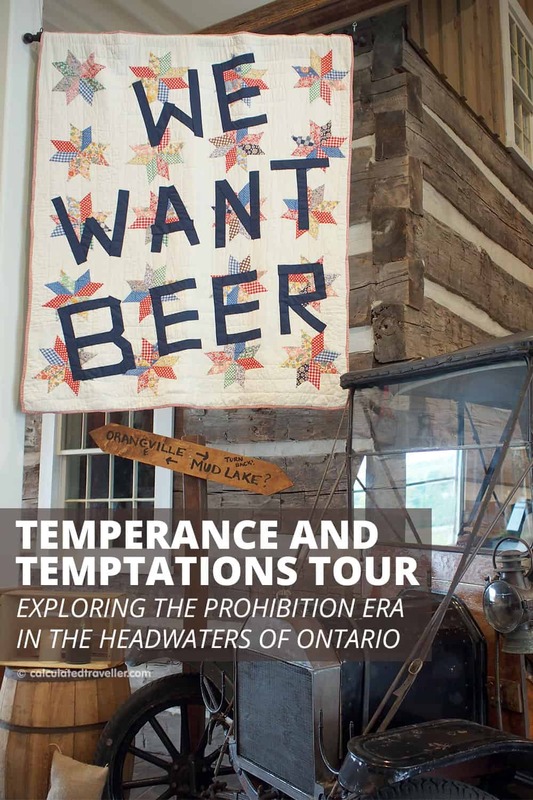 There are three Temperance and Temptation Tour experiences within Ontario’s Central Counties to choose from — the Headwaters Story Tour, York Story Tour, and Durham Story Tour. 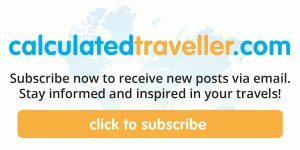 All of these tours are available as a VIP guided experience complete with performances, entertainment, food, drink and overnight accommodation; as well as a self-guided tour by following the interactive map on the Temperance and Temptation Tour Website complete with audio history recordings. For Temperance and Temptation Tour VIP experience dates, pricing information and self-guided tour maps visit their website here. TIP: As always don’t drink and drive; ensure you have a designated driver if you are taking the self-guided tour. I was a guest of Ontario’s Central Counties Tourism. All opinions are entirely my own.